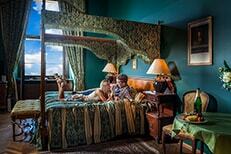 A wide range of accommodation possibilities is a part of the castle grounds offer. The Castle Hotel Maxmilián was opened in 2003; it is situated below the baroque terrace of the castle in the building that was built in 1834 as a clerical house of the Loučeň Thurn and Taxis manor. Start your journey together in life with the wedding at the Castle Loučeň. 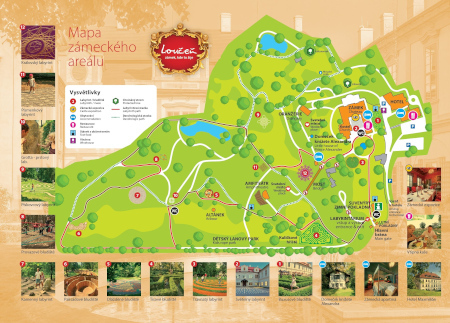 The Castle Loučeň is due to its romantic scenery and the beautiful English park the right choice for your great day. Besides convenient location and very good accessibility it guarantees an offer of high-quality services in fairy tale environment. Paradise on Earth to see! 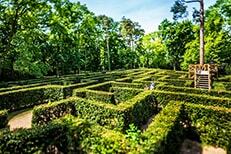 The castle grounds can borrow without hesitation these words of the Czech anthem for its characteristic. Tens of convincing photos will persuade you about it. Learn to know the castle, the park, the labyrintarium, the castle hotel, the restaurant or the living atmosphere of castle festivals.